Auckland is situated on the North Island of New Zealand and is often known as the 'City of Sails', due to its love of sailing. The city of Auckland stands alongside the coastline and Hauraki Gulf, and is home to many scenic bays and breathtaking scenery. 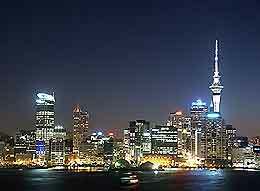 Auckland is particularly famous for its role in the America's Cup yachting regatta, amongst other noteworthy annual events.